Durable Tabs are extra thick and strong to stand up to long-term wear and tear. 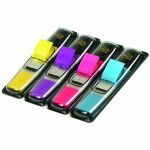 Great for dividing notes, expanding files and project files. 4 colors, 24 tabs total. 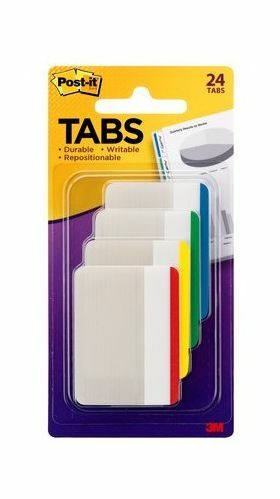 - Post-it(R) Tabs create order. 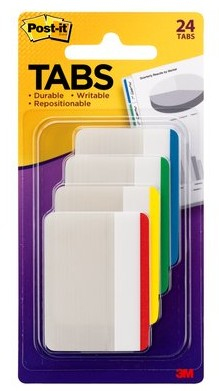 - Easily organize binders into sections. 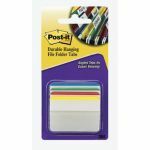 - Assorted Primary colors give you flexibility to organize by color. 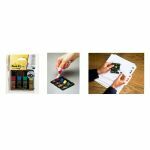 - Also great for planners, notebooks and file folders. - Sticks securely, removes cleanly. - Assorted Primary Colors. 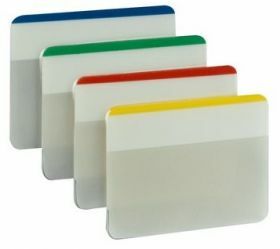 6 Tabs/Color, 4 Colors with a total of 24 Tabs/Pack.